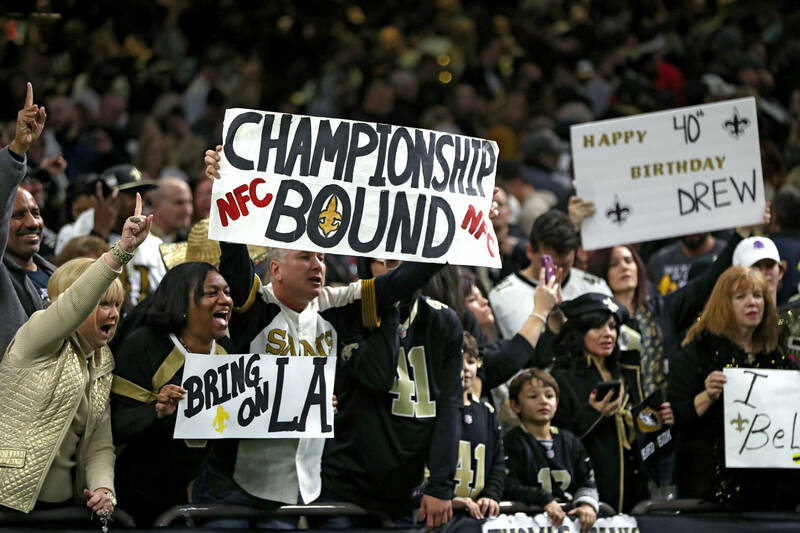 The New Orleans Saints and the Los Angeles Rams will be playing in what should be an offensive showdown in the NFC Championship game on Sunday. Saints quarterback Drew Brees will be looking to build on his legacy while Rams QB Jared Goff will look to prove himself as one of the best players in the league. Saints head coach Sean Payton understands how important it is that his team has home field advantage, with the game taking place at Mercedes-Benz Stadium. The Super Bowl-winning head coach is calling on the fans to make plenty of noise to confuse the Rams offense. "I think what's important for our fan base is understanding when that crowd noise needs to begin differently this week than normal weeks," Payton told The Advocate. "That crowd noise needs to begin prior to 15 seconds left (on the play clock). That crowd needs to begin just as that last play finished." Payton explained that the crowd noise is important because the Rams play a fast-tempo offense that doesn't waste any time getting started. "They'll come out the huddle quickly and snap the ball…" Payton continued. "They do a good job of trying to counter that (crowd noise) with tempo, or change of tempo." The winner of this game will play either the New England Patriots or the Kansas City Chiefs in Super Bowl 53.